Irrigation Contractor New York, New Jersey, Connecticut. Irrigation Installation, Irrigation Maintenance, Irrigation Repair. Sprinkler Contractor New York, New Jersey, Connecticut. Sprinkler Installation, Sprinkler Maintenance, Sprinkler Repair. Automatic Lawn Sprinkler serves New Jersey, New York, Long Island and Connecticut as the area's premier design/build irrigation system and landscape lighting contractor. Contact Us for services in the following counties: Bergen County, Passaic County, Essex County, Hudson County, Union County, Morris County, Somerset County, Hunterdon County, Sussex County, Warren County, Middlesex County, Monmouth County, Nassau County, Suffolk County, Westchester County, Rockland County, Orange County, Fairfield County, New Haven County. The latest technology and state of the art equipment. Complete service department providing all seasonal maintenance. Well, pump and booster pump installations. Alternate water supplies utilizing lakes, ponds, and reservoirs. Potable cold water supply lines for swimming pools, hot tubs, decks, tennis courts and fountains (display and drinking). Hydrology consultation for water diversion and removal. Drip irrigation for indoor and outdoor shrubbery plantings. New Jersey State Landscape Irrigation Contractor (#015134). Certified backflow prevention device testing. 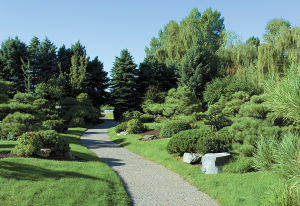 Our certified designers will develop an irrigation plan based on available water supply, site conditions, landscape needs and customer preferences. Our highly skilled installation crew will install your lawn sprinkler system with state of the art equipment and expert techniques that will minimize any disturbance to the property. There will be no disturbance to walkways or driveways. All customers will receive a full demonstration and tutorial on the new installation. We’re here for the long haul. While a properly designed and install system minimizes maintenance, some seasonal adjustments and actions are necessary. 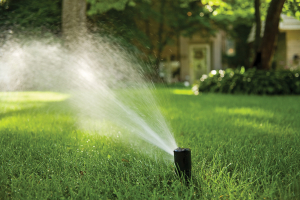 Our 59 years of experience makes us the #1 choice for repairing and updating your existing lawn sprinkler system. No matter what products were installed of who installed them Automatic Lawn Sprinkler Corp. can expertly diagnose and repair your irrigation system. Alterations are also performed due to new landscaping or changes in landscaping or site requirements. Annual service contracts are mailed after Labor day each year. Cost savings are applied to all full service contracts. Automatic Lawn Sprinkler Corp. is not your ordinary sprinkler/irrigation company. We have many other licensed and professional skill sets. We are master plumbers. We repair, replace and install new backflow prevention devices. We perform backflow prevention device testing. We are certified landscape lighting designers. We design, install and service all low voltage landscape lighting systems. Change to alternate water supplies, water harvesting and filtration: City water, well water, lakes, rivers, ponds and catch water can all be a viable water source. Please call us for consultation. Excellent company to work with and provided a well installed irrigation system. I have had the best results at my home garden with the drip irrigation setup. Automatic installed my irrigation system 20 years ago. I have had them provide annual service for the duration and my irrigation system has been running flawlessly for decades. I wish my appliances would only last as long! Automatic Lawn Sprinkler saved my landscaping. Their system designer crafted an efficient and effective irrigation system and accommodated my need to get things done ASAP. Automatic Lawn Sprinkler serves New Jersey, New York, Long Island and Connecticut as the area's premier design/build irrigation system and landscape lighting contractor. Contact Us for services in the following counties: Bergen County, Passaic County, Essex County, Hudson County, Union County, Morris County, Somerset County, Hunterdon County, Sussex County, Warren County, Middlesex County, Monmouth County, Nassau County, Suffolk County, Westchester County, Rockland County, Orange County, Fairfield County, New Haven County. Welcome to the New Site! NJ, NY, & CT Best Irrigation Lawn Sprinkler & Landscape Lighting Contractor. Schedule a Spring Turn-On Now and Save!